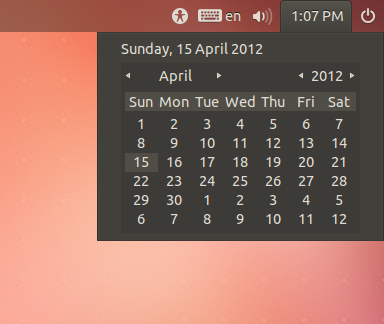 Ubuntu 12.04 LTS, codenamed 'Precise Pangolin', is scheduled to be released on April 26th. We are reviewing it based on its Final Beta - as it's already Feature Freeze, there shouldn't be any noticeable changes in the final release, apart from possible additional bug fixes, of course. While older LTS (Long Term Support) releases were supported for 3 years on the desktop and 5 years on the server, 12.04 will be the first release that will be supported for 5 years on both the desktop and the server. And being an LTS release, focus was on stability rather than introducing new features. Still, there were quite a few new features introduced in this release, e.g. the HUD. Apart from that, Unity has also grown up by now, so it is quite stable and feature-rich. 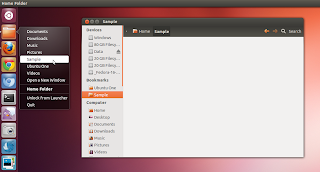 The Ubuntu developers had decided earlier to set the target size for the default Precise ISO to 750MB, meaning that it wouldn't fit on a usual CD anymore. But they still managed to keep it within the burning limit of the latter, around 700MB, so the door for users of CDs is now still open. Unity's HUD (Head-Up Display) is an innovative alternative to the traditional application menus, it's based on the same technique the Global Menu is based on. Tapping the <Alt> key brings up the HUD and you can then search for anything you want to do. For example, let's say you want to do anything with 'tabs' in Chromium, tap <Alt> and type 'tab'. Pressing and holding down the <Super> key now brings up the Shortcuts Help Overlay. It can really prove beneficial in learning more about how to use Unity efficiently. In Precise, the Unity Launcher behaviour is now set to 'Always Visible' by default, whereas it was set to 'Dodge Windows' in previous releases. 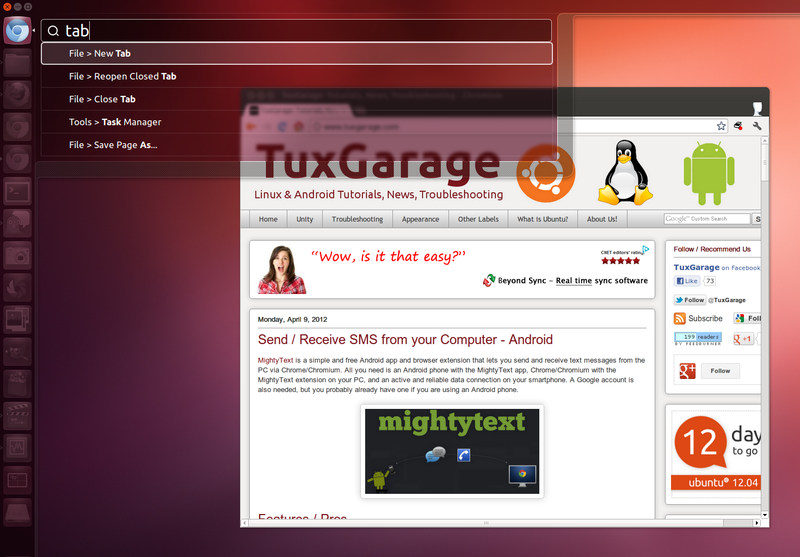 Nice move, as new users had difficulties finding the Launcher again, upon using Ubuntu for the first time. 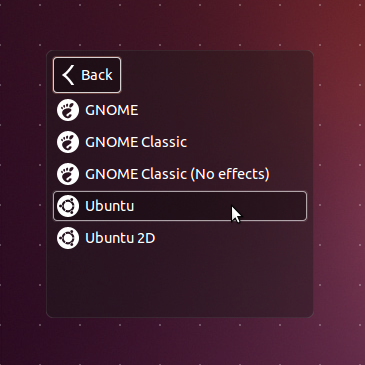 And another thing, for the regular Unity, the 'Dodge Windows' option has been ditched completely. So now, you can only choose between 'Always Visible' and 'Auto Hide'. These options can now be changed via the default 'Appearance' settings dialog, specifically in 'Power Menu > System Settings > Appearance > Behaviour'. One of the issues with the Unity Launcher in earlier versions was that when it was set to auto-hide, it used to reveal every now and then when you just touched the screen edge accidentally with your mouse pointer. This behaviour has improved quite a lot in Precise. They have now introduced 'Reveal sensitivity', which you can tweak according to your liking. If the 'Reveal sensitivity' is set to lowest, you will need to push the mouse pointer hard against the screen edge to reveal the Launcher. 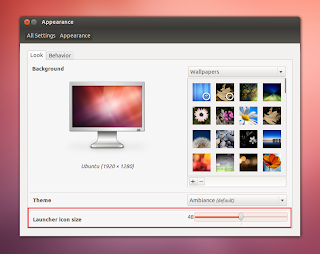 If set to highest, the Launcher will be revealed as soon as the pointer touches the edge. You can choose something sensible in between. This only works for the regular Unity. 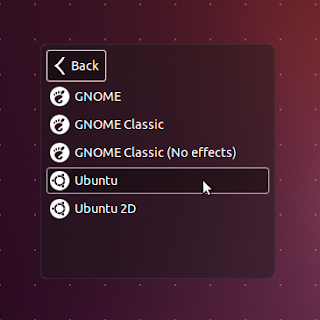 Similarly, an option for resizing the Launcher icons of regular Unity have been added to the same 'Appearance' dialog, under the 'Look' tab, there you can choose any icon size between 32px and 64px. So now, you don't need CompizConfig Settings Manager anymore for changing these most basic settings, or MyUnity, for that matter. Unity Dash, the place that holds all the lenses together, has been quite updated in Precise. The Dash home now displays 'Recent Apps', 'Recent Files' and 'Downloads', rather than the huge icons for 'Media Apps', 'Internet Apps', 'More Apps', blah blah, as it used to be in earlier versions of Unity. 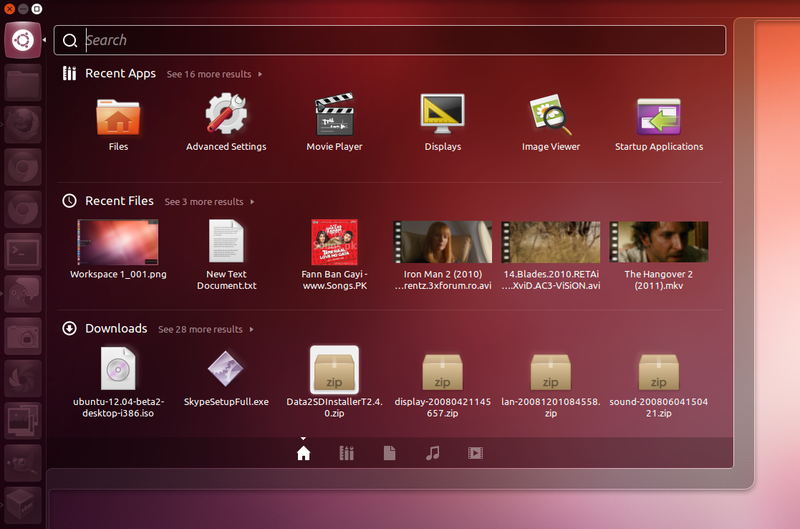 Also, the Dash now comes with a Video Lens by default, which lets you search for online videos from YouTube, Vimeo, etc. When any of the search results is clicked, the video's web page opens in the default browser. Default keyboard shortcut for accessing the Video Lens is '<Super> + V'. Another change worth mentioning is that you can now hide the 'Apps Available for Download' from the Applications Lens results. 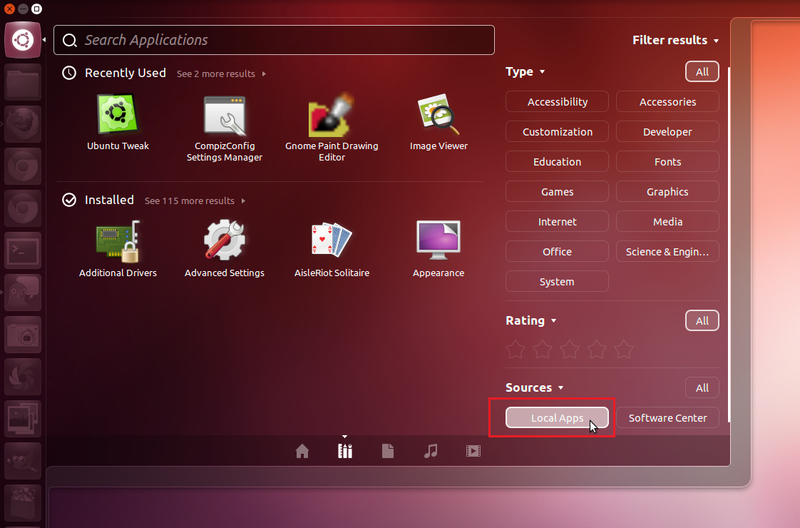 Therefore, click on 'Filter results' in the top-right corner there and under 'Sources', choose 'Local'. Regarding the Dash control buttons, as you can notice in the screenshots above, they have improved a bit since the older releases, but are still not that close to 'perfect'. 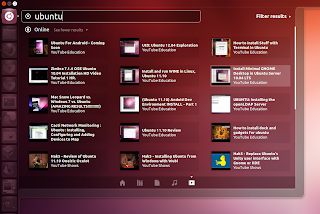 Nautilus (the file browser) and quite a couple of other applications come with added or improved so-called 'Quicklists', the menus that come up when right-clicking the respective Launcher icons. In Nautilus' case, it now offers quick access to bookmarked folders, as well as the usual default folders. The default Ambiance and Radiance themes have received many improvements, including a revamped darker Nautilus sidebar and a new 'unfocused' state. There were several other minor tweaks also. LightDM now automatically adopts the desktop background of the selected user as the login screen background, resulting in a smooth graphical transition from login to the desktop. It also comes with a revamped login box and session chooser, which now supports session logos. However, the indicators when clicked, still don't fit the theming of the rest of the login screen, as they don't follow the transparency of the overall Unity Greeter. And even worse, if you choose to shutdown/restart your computer while on the login screen, you are presented with a dialog that doesn't fit the Unity Greeter's appearance at all. 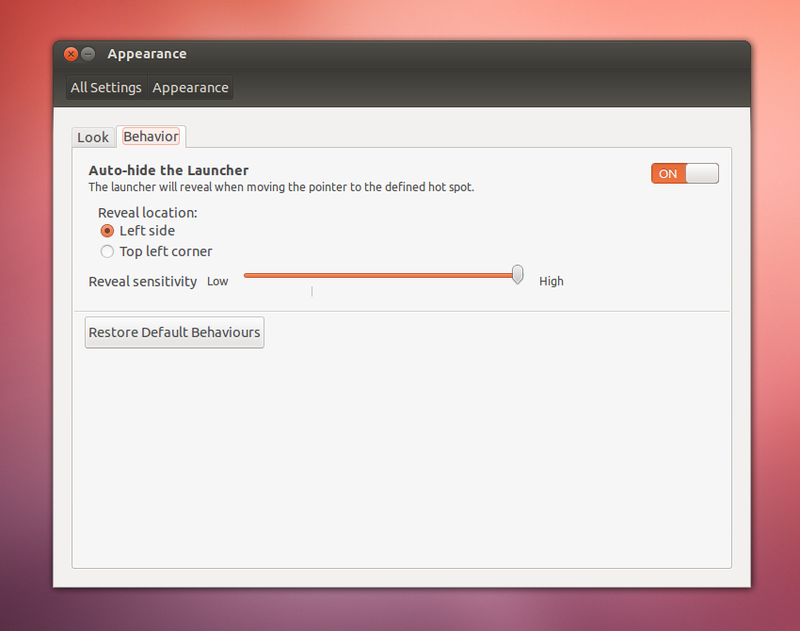 If everything else on the Unity Greeter is dark and transparent, why have a light coloured shutdown dialog!? The lock screen looks quite unfitting when you try to unlock it: I would expect a fancy round-cornered unlock dialog, coloured dark and a bit transparent, just like the login box from the login screen. 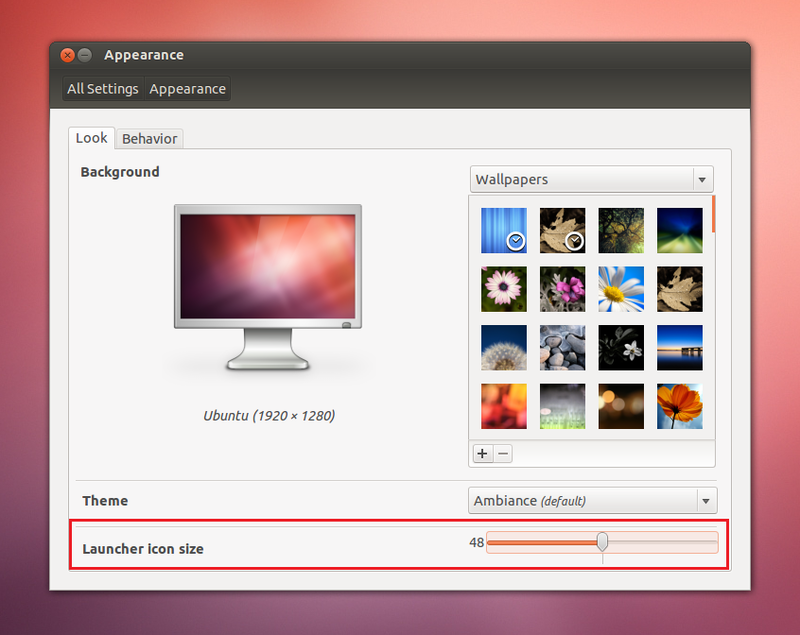 However, this will also change if you choose to install XScreenSaver, as mentioned above. Though, its unlock dialog isn't that pretty either. One of the concerns in the previous versions of Unity was that after a while of usage, the Unity Dash started to list some items that one doesn't want to be logged anywhere. Activity Log Manager then came to the rescue, and one could control what should be logged and what should be excluded. However, Activity Log Manager wasn't included by default alongside earlier versions of Unity. 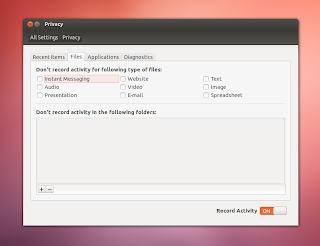 In Precise, it is included and has been renamed to 'Privacy'. 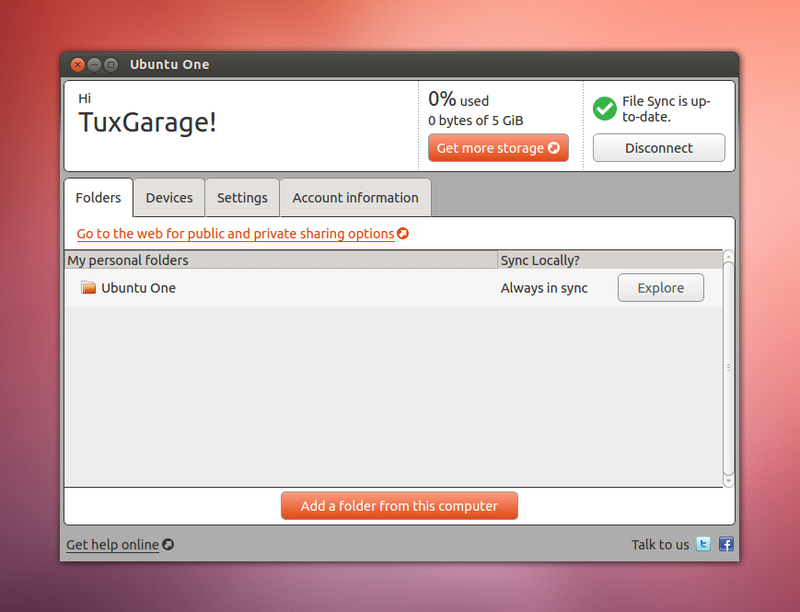 You can access it from 'Power Menu > System Settings > Privacy'. 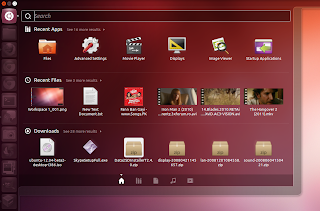 The Ubuntu One interface was completely revamped, and a new option of 'Add a folder from this computer' was added. 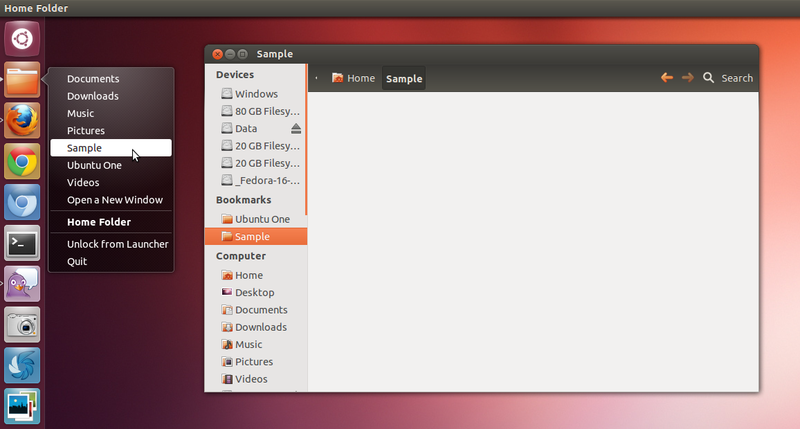 However, the new interface seems to me to follow a more Windows 7-like look. 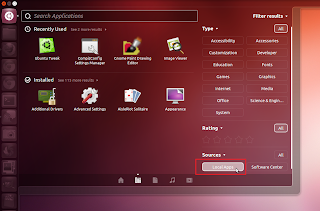 Whenever installing any application from the Software Center, the application automatically docks itself to the Unity Launcher and displays the installation progress. While this might prove to be a handy option for those who don't want to go after finding their newly installed application from the Dash, it might become an annoyance to those who are used to install a lot of applications regularly. 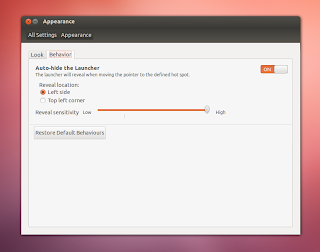 This behaviour is easily tweakable, simply go to the 'View' menu of Ubuntu Software Center and untick the option 'New Applications in Launcher'. Firefox is still the default web browser. However, we keep hearing rumors almost all the time that Chromium is going to replace it soon. Rhythmbox has replaced Banshee as the default music player. They probably wanted to maintain consistency between LTS releases and as 10.04 featured Rhythmbox, they have switched back to it. Another reason might be that Banshee hasn't been fully ported to GTK 3 yet. LibreOffice has been updated to 3.5.1 in Precise. Sadly, though, it still doesn't support the Global Menu. There is now better support for multiple monitors under Unity. 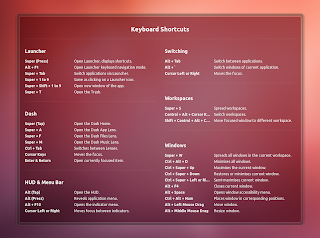 By default, the Unity Launcher is present on every monitor, so you don't need to move between monitors to do some Launcher-specific tasks, but you can also change that. When installing applications from Software Center, language packs, including translations and spell checking dictionaries, are now installed automatically. So you don't need to open 'Language Support' anymore after installing any additional applications, or alternately, have some language packs missing. Also worth mentioning, the popular media center XBMC is now available in the official Precise repositories, so you don't need to add any extra PPAs anymore for installing it. 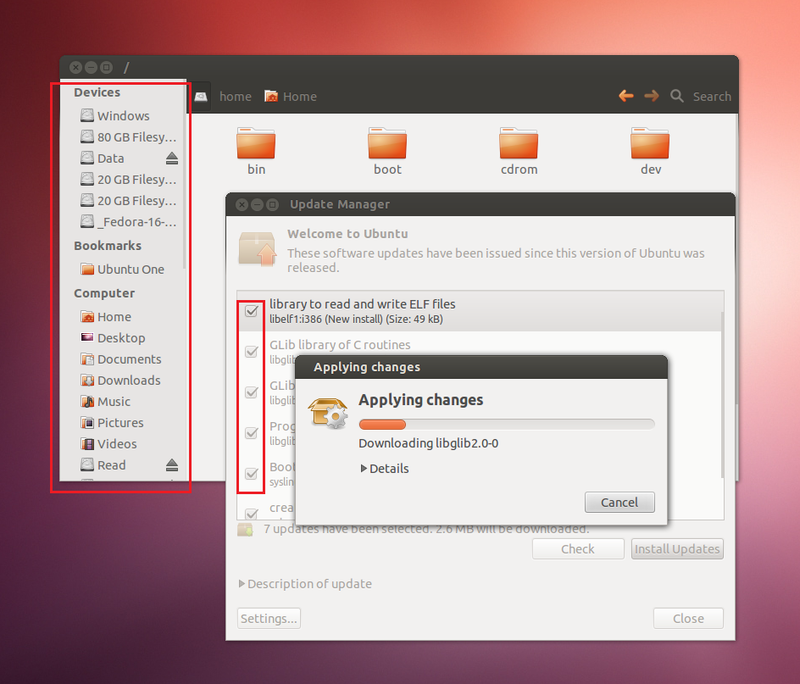 The latest version of Gnome, i.e. 3.4.0, is available in the official Precise repositories, despite that there were rumors that it won't be included. Precise features a better ClickPad support. You can now click on the ClickPad and use another finger to move the cursor. 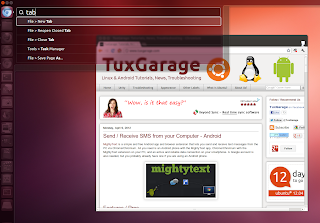 The 'Alt + Tab' switcher, by default, only lets you cycle between windows from the current workspace, rather than all windows from all workspaces, as it used be previously. 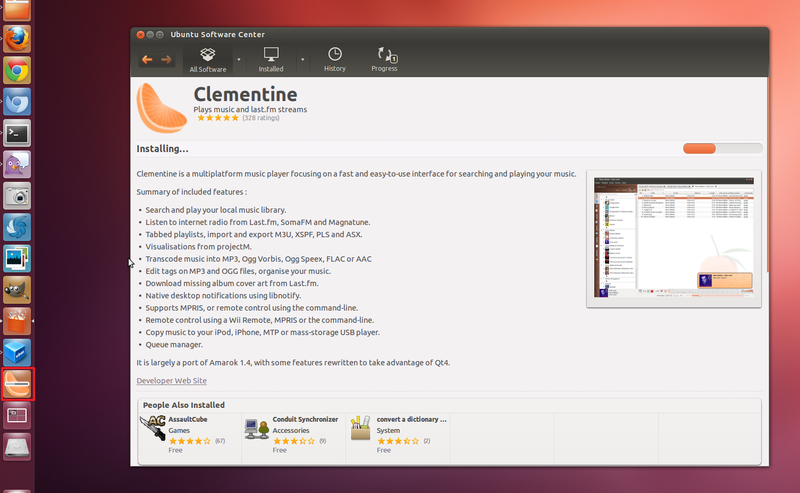 Canonical's system management service Landscape is integrated in the 'System Settings', and named 'Management Service'. It isn't free, however, you can sign up for a free trial. The default wallpaper used to be brown'ish, then it grew purple'ish, and now it is more leaned towards orange, making for a bit warmer look.